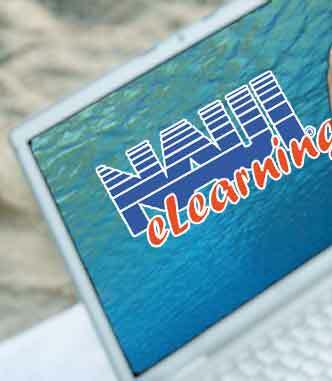 Start your course today with NAUI eLearning! SCUBA Connecticut now offers you the choice of how you would like to complete your academic study. We offer EITHER traditional classroom sessions (usually three evenings) OR online eLearning! You may even choose BOTH (for an additional fee). Access to the eLearning Center is available with the purchase of a SCUBA Diver Certification Course from SCUBA Connecticut. If you choose the eLearning option, you will receive an activation code to access the course material via the web using any browser, even web enabled mobile phones. Once activated, access NEVER expires! Once you have passed the academic portion, you will practice essential diving skills in the pool. Finally, you will apply your skills during open water qualification dives. Upon completion, you will receive a certification card that identifies you as a trained diver, allowing you to dive anywhere in the world! NITROX Specialty Certification can be earned with eLearning as well, and can even be combined with your Open Water SCUBA Diver certification course! Learning to SCUBA dive is safe, affordable and FUN! And now, you can do your academic work on your own computer, in the privacy of your own home, at your own pace, with NAUI eLearning!